Ross School has always played host to a variety of cultural, educational, and community events. Sign up for updates here so that we can keep you posted on what's on the horizon. Here's a look at some of our most recent happenings. Recently, the eminent Lama Tenzin returned to Ross for his annual visit to Ross to teach students and the public about Buddhism and mindfulness. In his public talk, The Path to Compassion, the monk discussed key tenets of Buddhism and how they can be practiced in our daily lives. 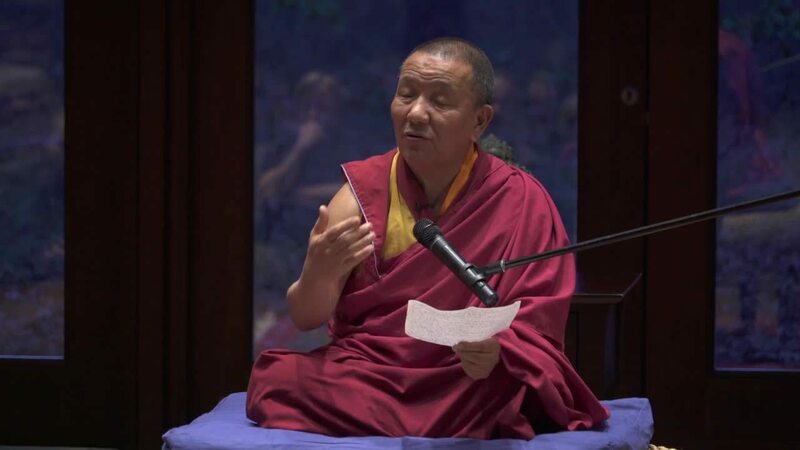 In past years, Lama Tenzin's address to the community has reminded its members to be mindful in their interactions with others and offered guidance in achieving a shared, universal hope of being happy. "Happiness cannot be found in physical things like money," he remarked at last year's lecture. "Profound happiness comes from the heart." 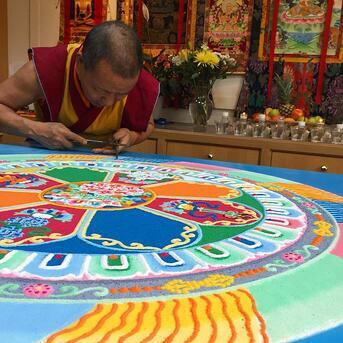 You can read more about Lama Tenzin's visit at 27east, The East Hampton Star, and The Sag Harbor Express. Ross School hosted an anniversary screening of Girl Rising that featured new footage not included in the film's original release. Girl Rising spotlights the unforgettable stories of girls living in the developing world, striving beyond circumstance and overcoming nearly insurmountable odds to achieve their dreams. Directed by Academy Award Nominee Richard E. Robbins, written by acclaimed female writers, and voiced by notable actresses including Meryl Streep, Kerry Washington, Anne Hathaway, Cate Blanchett, and more, Girl Rising proves that one girl with courage is a revolution. Kayce Jennings, a producer on the film, held a post-screening Q&A and discussed the film as well as the organization and global movement in support of girls' education that emerged from it. Sign up here to stay in the loop about future public events and programs at Ross.